A contact page is an unavoidable section that needs to be added to a website at any cost. There are two vast approaches through this section can be hosted in a website in an effective way i.e. either through a static HTML site or utilizing CMS like WordPress where both of them has a lot of advantages in using it with high-end flexibilities and more number of plug-ins. When it comes to designing the contact page, it is found to be the simplest and low-time consuming process. All you need to do is to decide and post the required information which you think is mandatory and need to be displayed on the website. iStudio Technologies is the top web design and development company in Chennai, having a decade of experience and known as the best client servicing company in the industry. This blog section will be depicting the current trends and useful tips to create a contact page that is highly useful and effective one. 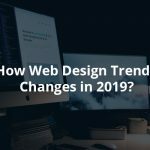 It involves describing the characterization of design trends and WP plug-ins as well since the entire concept revolves around wordpress here. A lot of concerns are still lagging in displaying the required and précised contact details in their website. Usually when a visitor approaches your site always look out for some extra or a different thing that needs to be present in your site. If you are capable of catching their mind and presenting the same in your contact page then, you can easily make clients to contact you easily and it will also save your site from posting unwanted messages. Let’s say, you can add a couple of paragraphs stating that what kind of guest posts do you accept? How wide are you open towards sponsorships? How fast is your response rate? This may seem to be a strange or new approach but it will definitely help in increasing the usability of the website. For example, WP Kube maintains a cool contact page that makes the visitors stick in with the website, and most importantly it also induces them to send a query regarding their requirement. This helps your site in various ways through safeguarding your website from duplicate mails, and also save your visitor’s time. As a leading website development company in Chennai, iStudio Technologies provides the most advanced and innovative website for their clients by incorporating the latest technologies prevailing in the industry. Contact page usability of a website demands a high sense of design and needs to be attractive as well. Everyone needs their contact form to look good but the most important thing is it needs to be fit right into your website layout as well. This needs to be carried out with great care since every website was designed in a unique way and carries its own style with it. The contact page must be well-structured and have to get fit right into the slot of the website, which eventually converts a visitor into a customer for your business through enhancing the level of engagement. Instead of following the same stereotypical format of representing a contact page (i.e. by using monospaced font) it is suggested to use plenty line heights here in order to make the textarea larger to facilitate the visitors to type their messages. CRE8 Collective will be a great example here as it carries a right blend of contact form with it using the support of minimalist elements. The contact page inputs get blended into the webpage and they don’t get stuck out of the site, at the same time they also make sure it is not created in a hazardous way. Ultimately the contact form here clarifies that it doesn’t require to look strange or give an alienate feel through bringing in a high level of creativity but, it needs to get highly synchronized with other web pages of the site. When it comes to creating a new contact page wordpress surprise you with a lot of free plugins with a varied category to choose from. Especially, when it comes to email form selection and display these plug-ins cater highly suggestive ones. Contact Form7 is the best sample considered here where it is the most widely used plug-in for creating a contact form using wordpress. The striking feature of this plugin is to provide a lot of choice for every website with easy to use admin panel. The contact form catered by this plugin is highly customizable and simple as well. Here, the settings page gives ultimate freedom for the developer to change form inputs, field labels, requirements, and edit response template as well for the mail settings. WordPress as a CMS and a solid web development package assures you with enormous plugins in front of you for usage. Most of them can help you create a solid contact page, at the end of the day it’s in the hands of the developer to make it effective by choosing the wise one through implementing proper design and structure. Hope the tips and trends mentioned in this blog post will be useful for you to adopt the most effective plugins in WordPress to develop a solid contact page. We at iStudio Technologies as a best web development company in Chennai are well known for utilizing the WordPress and delivering better websites for their clients. We keep updating ourselves with the plug-ins and other technological solutions to deliver a better result to our clients.